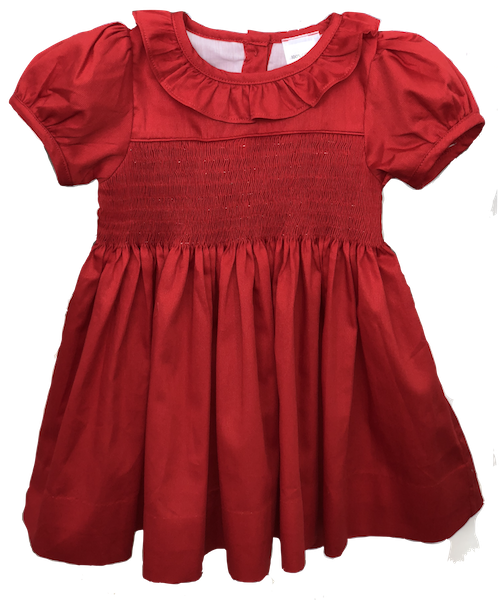 This red yoke dress is perfect for the holidays! It is made of fine quality 100% cotton pique. The dress is completely back smocked so smocking this dress will be quick and easy!